MARQUETTE — On Tuesday night the City of Marquette Arts and Culture Center hosted a special talk and demonstration with a Gladstone based artist. The artist’s exhibition is on display now at the Peter White Public Library. 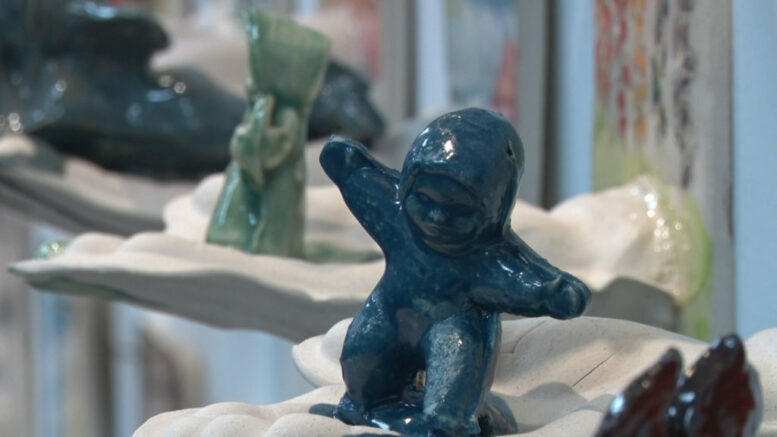 “Ex–Voto” is the project that’s on display features tiles with bright–colored objects placed in a ceramic shaped hand. The series features 150 tiles, but in total over 170 were made. This exhibition also has a twist; Leipski will be giving 40 percent of his proceeds from the sales back to the public arts commission.